Data breaches are everywhere, and no company is immune from the automated and persistent attacks from all over the world. It’s not difficult to keep up with the news on the larger incidents. A quick search of this morning’s news revealed that Citrix was hit with a possible state-sponsored attack, UCLA Health is finally settling it’s 2015 breach, and at least one company is refusing to even acknowledge that it has an active breach at the time of this writing. Data loss can also mean just what it sounds like: a loss that leaves you without the information you need to conduct business or enjoy personal files like photos, music, digital diaries, etc. If you’ve been around long enough then you’ve been through this, and you know that it can be anything from a minor nuisance to a horrible, life- or career-altering event. It all depends on your backup. Let’s start with the obvious: many companies still do not prioritize backups. They may have the technology and they may have configured it correctly several years ago, but things change. Applications are added, important data is moved, priorities are changed. Data backups have to be evaluated on a regular basis so that all the critical data is identified and protected by backup. 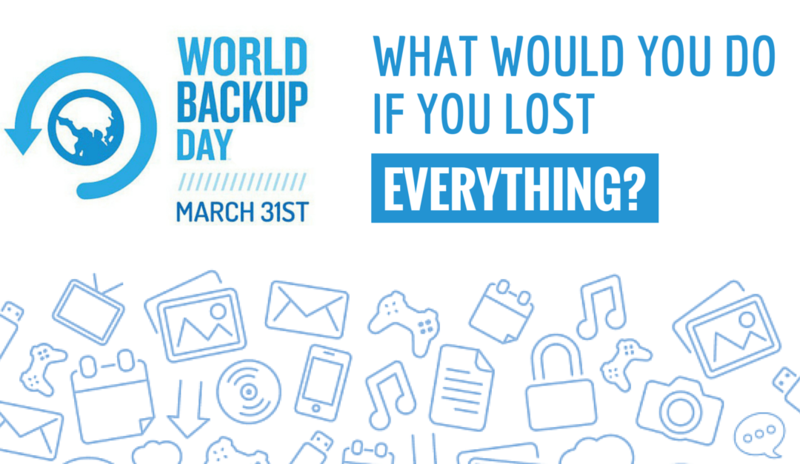 World Backup Day is a high profile reminder to check the operation and configuration of your backups.